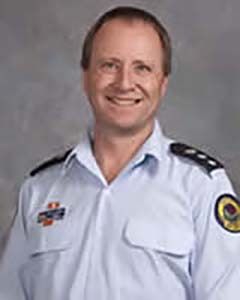 Phil Campbell is the Corporate Communications Manager for the New South Wales State Emergency Service. Phil is responsible for a small and dedicated team who manage media, corporate communications, Ministerial liaison and the Service’s online and social media presence. Phil has an Honours Master of Science degree that provides him with a strong understanding of the natural hazards that underpin the core SES responsibilities of flood, storm and tsunami. Phil has worked in the media, public affairs and community engagement area for over 15 years for such diverse organisations as a waste management agency, conference and events company and international high school. Phil has received an SES Director General’s Commendation for his work in media and public affairs at the SES. Phil is a passionate believer in the use of new technology to support existing media practice and in the skilling of staff and volunteers to national standards.